You’ve heard it from your mom, dad, auntys and uncles a thousand times before, “don’t forget to put sunblock on before going swimming.” Beyond being a minor setback in your beach plans, the purpose behind this statement serves an even greater cause. Simply put, by taking the necessary precautions to protect your skin, the elements will have less of an effect on your fragile skin and will be less likely to break down the skins structure over time. The same goes for sealcoating your asphalt and pavement. Outdoor elements can easily break down asphalt and pavement over time. 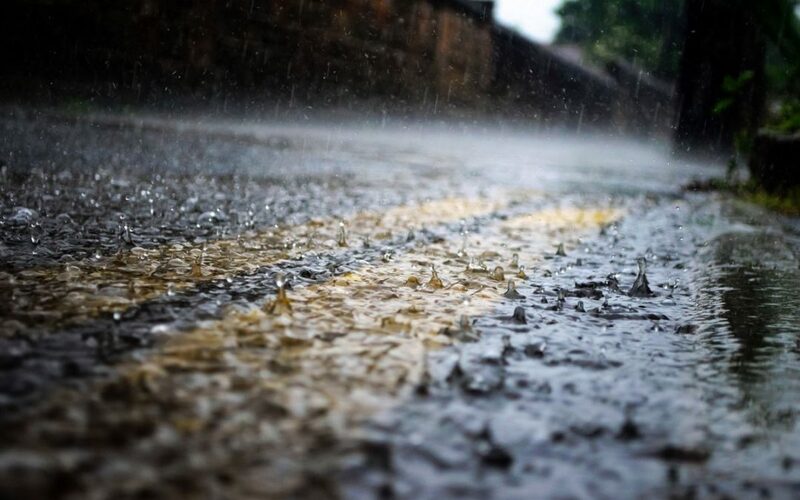 Although asphalt naturally contains good waterproofing and adhesive characteristics, it is a complicated mix of various chemicals whose structure allows for access to weather, salt and other factors. Over time, these elements can disintegrate and wear on the asphalt. Sealcoating your asphalt has a huge payoff as it not only improves the aesthetic of your property, but provides long lasting protecting against UV oxidation, moisture and more. Rain, wind and salt – all common occurrences in Hawaii – can cause oxidation, which dries out the asphalt. Add to the list of naturally-occurring elements, man-made elements such as antifreeze, oil and fuel and you have a compounding list of factors working to actively break down your asphalt. When it rains, this causes “raveling” between the asphalt. This means that the contents of the asphalt have separated which eventually results in cracks that grow larger over time. Over a five year span, these cracks can become substantial, causing deeper damage to the underlying foundation of your asphalt. If asphalt goes without being seal-coated, the small cracks serve as miniature storm drains on rainy days. As the cracks get bigger, the rainwater is able to more easily penetrate to the base of the pavement creating larger cracks and eventually potholes. Potholes are the result of a large portion of the asphalt breaking away and leaving a gaping hole. That’s never fun to deal with! In essence, seal coating your asphalt is like applying sunblock to your skin. It protects the asphalt from sun damage just as sunblock protects your skin from harmful radiation. Sealcoating prevents thermal cracking of asphalt and increases its ability to tolerate weathering, raveling and continuous deterioration due to oxidation. Overall, the objective is to provide asphalt with the protection to ensure its strength and durability no matter the weather outside! If you need a quote to sealcoat your pavement or driveway, give us a call! We’re proud to have worked to enhance both residential and commercial properties throughout the islands. Seal Pro’s Hawaii provides all aspects of asphalt or pavement maintenance and repair for parking lots, driveways and runways at residential and commercial properties.